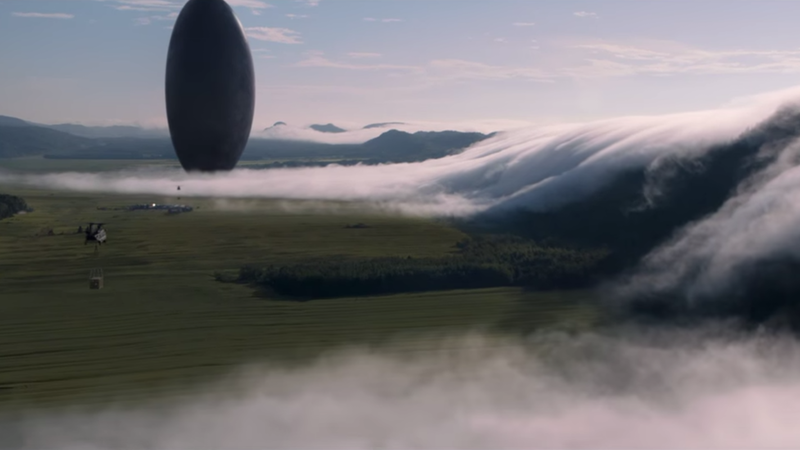 Out of all the movies in 2016, “Arrival” has been the most important one to come out. Amid the failed blockbusters, superheroes, sequels and animated films, “Arrival” reminds us that film can be more than just entertainment but a window into the human psyche, showing our flaws as well as our potential. But what makes “Arrival” stand out among those is the timing. If this film had come out a month ago, I would have thought it was smart and thought-provoking. But this movie came out the same week where less than half of the American population voted for who would be leading our country, and we ended up electing a man who has no political experience and is already genuinely hated by the American public. A movie about communicating among people and opening up dialogue between nations, speaking of hope for the future, comes at a time when we need that the most. I saw “Arrival” less than a week after the presidential election ended, and I was terrified about what was coming next and where we would be going. This film helped me realize that we’re not alone in all this and that we are in charge of our own future. This makes “Arrival” not necessarily about the aliens, but about how we treat one another. These aliens send down twelve ships, scattered throughout the planet but at least one near every major power in the world, including one in Montana and another near Shanghai. Each country has a different response to the aliens, with China threatening to bomb the space craft, while the Americans hire linguist Louise Banks (Amy Adams) and physicist Ian Donnelly (Jeremy Renner) to communicate with the aliens. At the base near the space craft, there is a strong military presence, who have large explosives ready to detonate, which more than a few soldiers want to pull off. There is a constant sense of unease about this whole venture, with the trigger-happy military taking charge and the lack of communicating between Earth’s nations. This is a logical reaction to unknown invaders, but shows that the governments of the world were not designed to handle alien encounters and so they scurry around like chickens with their heads cut off. 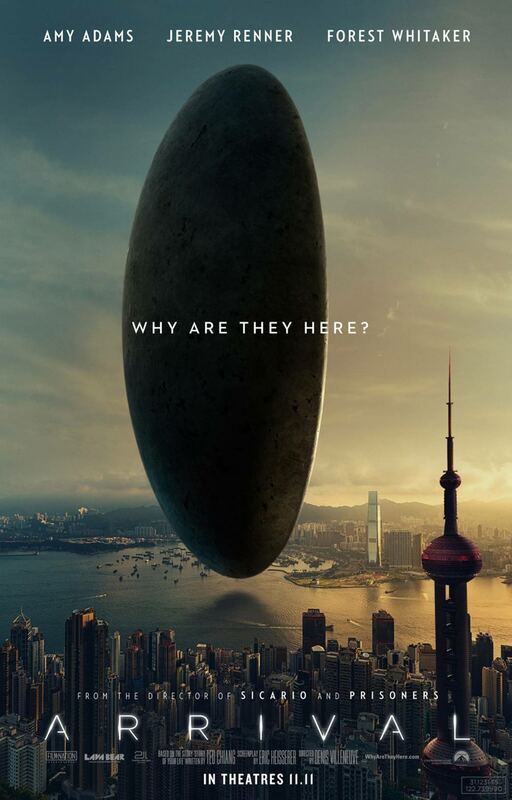 Without giving too much away, there is a drastic shift near the end of the film that changes the entire outlook of “Arrival.” I’m not sure I could fully explain the details, since the film is rather vague on what happened, leaving most of it up to interpretation, but I do know that our story of peaceful aliens switches the focus to us. “Arrival” recognizes that we are flawed frightened creatures who lash out and only think of ourselves, but that we have the potential to be kind and understanding. All we need is a little push in the right direction and shown a bit of compassion to get us moving, and that is exactly what these aliens are doing. It matches with the films of Denis Villenueve, like “Prisoners” and “Sicario,” by taking the indie-vibe but making it feel big and important. His films are less about flashy effects and threats, and more about the danger of those threats and how these characters react to those threats. I don’t think “Arrival” would have worked as well if Villenueve wasn’t directing, because the human factor is the driving force behind it all. Overall, if you go see any movie this year, see “Arrival.” It may not be big or flashy, but it is important, smart and most of all, hopeful in a time where we need that. You will enjoy this slow-paced sci-fi story if you keep an open mind, if you don’t have the attention span of a goldfish and if you don’t mind not having everything explained to you. This is not an Independence Day kind of movie.